Posted 1921. 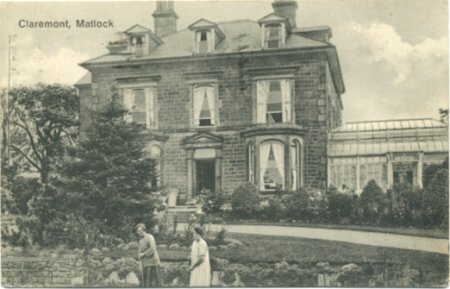 Claremont House in Matlock, built c1858. 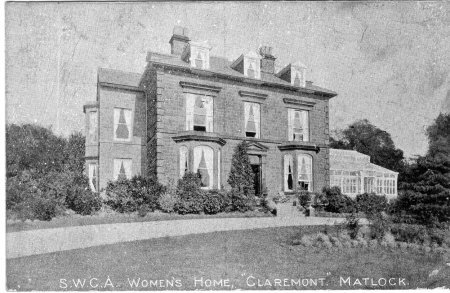 Claremont House (at 68 Cavendish Street) was built about 1858 by Charles Rowland (1813-1902), a local business man. Born 1813 in Burton-on-Trent, he ran a successful business there for 18 years. His health failed and he came to Matlock to find if John Smedley and Hydropathy could help. 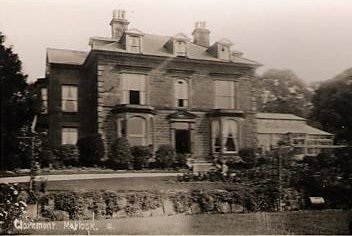 Rowland ran a hydro in Coton-in-the-Elms (near Burton) for two years, then came to Matlock and opened the magnificent Rockside Hydro in 1862. He was also chairman of the Local Board for many years, Director of the Waterworks, and vice Chairman of the Cable Tramway Company. He lived well into his late eighties and enjoyed good health in later life. Charles Rowland can be found in the Census for: 1871, 1881, 1891 and 1901. Later Claremont became an old person's home. 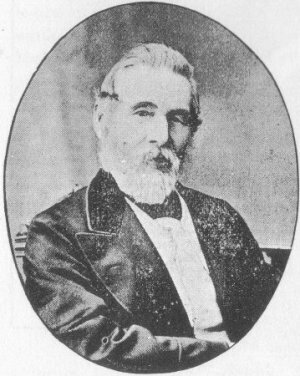 Charles Rowland who lived in Claremont.